I am pleased to share with you that in November and December of 2015 I will be traveling to Ghana, Senegal, Rwanda, Kenya, Uganda, and Cameroon, where I will partner with Love Volunteers to build a photographic library of volunteers at work, project beneficiaries, and local attractions. As a collection that will include captivating, expressive, compelling, and visually stunning images – standards that you have come to expect of my work – the library will complement individual stories from former volunteers to serve as a powerful marketing tool. A woman carries her baby in Rwanda. A moto taxi in Douala, Cameroon. I am thrilled to be given this opportunity to realize my lifelong desire to foster my creativity. This could not be a more opportune time to challenge my artistic ingenuity by shooting in remote rural areas in Africa, where “shooting on location” takes on a whole new meaning. Last year, I volunteered with The Humanity Exchange in Douala, Cameroon, where I had the opportunity to introduce photography to children at a youth center. The challenge of instructing in French notwithstanding, the children’s depictions of daily life, narrated through unique lens perspectives, inspired me to catalog my own adventures on camera. The experience of recording my travels through film exposed me to a new world of photography, and inspired me to explore other forms of photography. Indeed, since my return from Cameroon, I have sought new opportunities to venture into and to further develop my artistic expression. 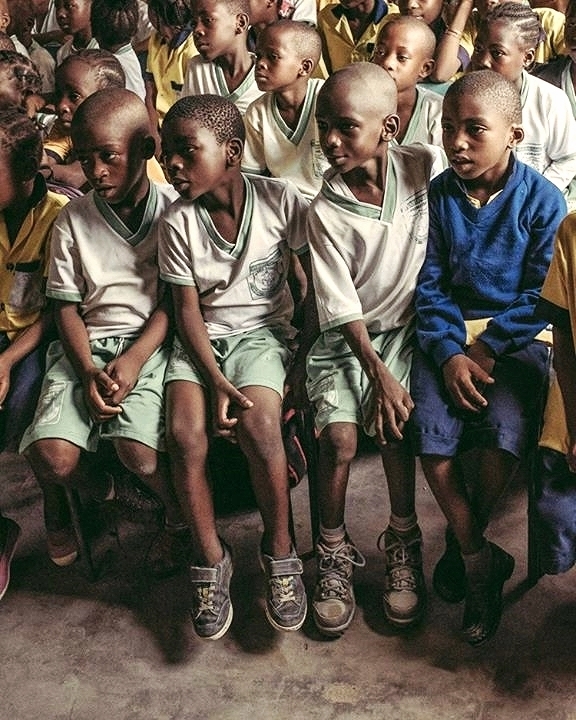 A few of the photography students at Les Maisons des Jeunes in Douala, Cameroon 2014. Look out for my travel journal, where you can discover captivating scenes of rural Africa with me on a journey that will most certainly redefine my creativity. My current trajectory could not have been possible without your continuing support over the years, and I thank you for embarking on this journey with me. I look forward to sharing my experiences with you upon my return. After a performance at Les Maisons des Jeunes, the children rush to go back to school. Children watching a theatre performance at Les Maisons des Jeunes in Douala. Children jump for joy in Rwanda.